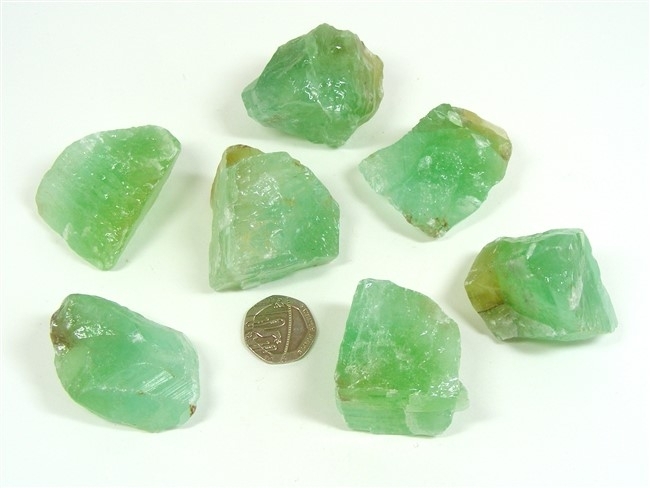 These are great pieces of Green Calcite from Mexico, each one with a good bright colour. The brown matrix so often found in Green Calcite is minimal making these pieces a definite green colour ! 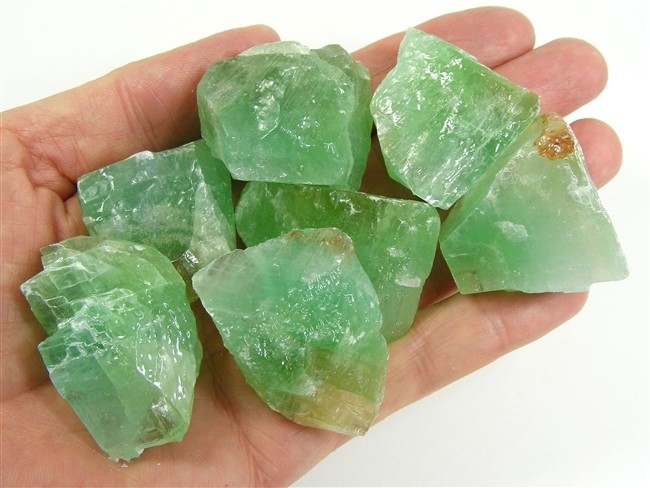 In addition to the above properties, Green Calcite also helps to rid the body of infections, cools fevers and reduces inflammation. It also eases arthritis and is useful in stress/anger related diseases. Green Calcite is an emotional balancer and can aid the transition from being in a negative frame of mind into thinking positively. It is a stone for mental healing and one which can bring joy into our lives, alleviate fear and reduce stress.